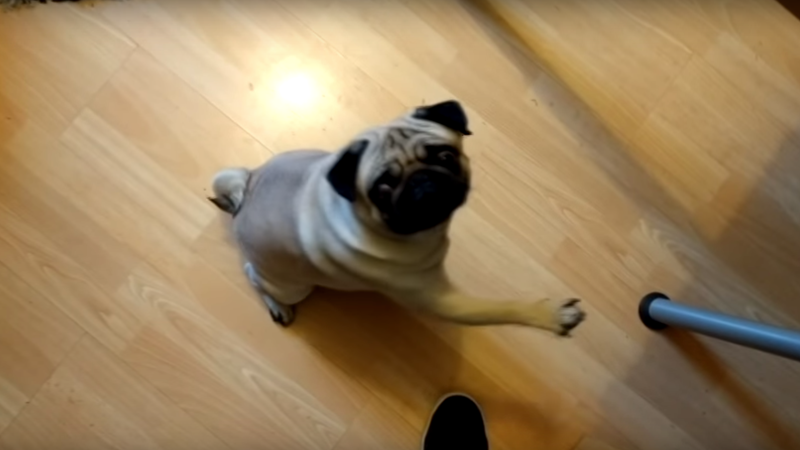 A Scottish YouTube comedian, Mark Meechan, was found guilty of a hate crime on Tuesday for posting a video of himself training his girlfriend’s pug, Buddha, to mimic a Nazi and respond to commands the court ruled anti-Semitic. In the video from April 2016, Buddha is shown watching Adolph Hitler speaking at a rally at the 1936 Olympic Games in Berlin, raising its paw at the command of “Sieg Heil,” and becoming alert every time Meechan says “gas the Jews”—a trick Meechan demonstrates a dozen times. At the end of the video—which is still up on YouTube in restricted mode and has been viewed more than 3 million times—Meechan says he’s not a racist, he just wanted to piss off his girlfriend. He provided the same explanation in court, according to BBC. Ephraim Borowski, head director of the Scottish Council of Jewish Communities, spoke at the trial, according to The Times. 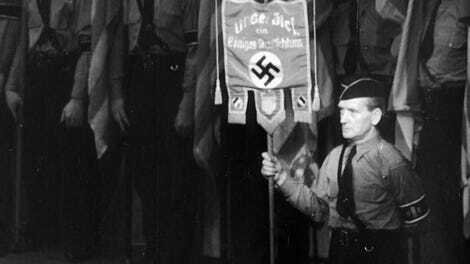 He told the court that his family members died in the Holocaust and he could not see how it could be made into a joke. Ross Brown, defending Meechan, said Meechan did not expect the video to go viral and insisted Meechan’s girlfriend saw it as an example of his humor. But Sheriff Derek O’Carroll, who was judging the trial, found Meechan guilty of being grossly offensive, a violation of the UK’s Communications Act.